Prior to the demolition of the old Bradman stand and start of construction of the new eastern and western grandstands for the Adelaide Oval redevelopment, a detailed dilapidation survey report was created which was the database of the condition of all buildings and infrastructure in and around the oval. The project brief required the existing Members Stand and the faced brick arches on the western side of the western grandstand to be retained. 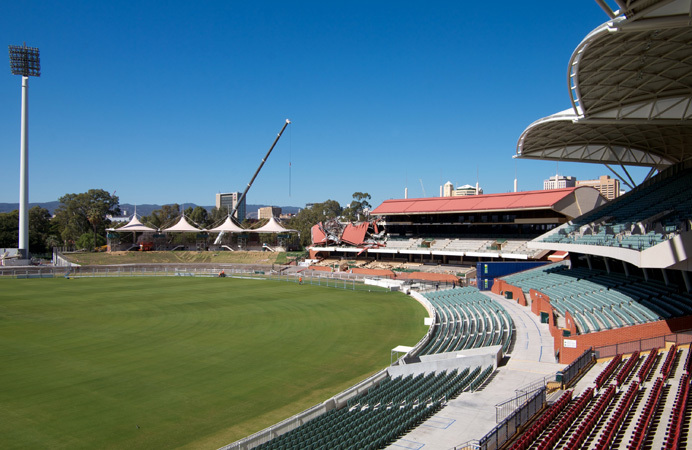 A specific detailed internal and external survey was also undertaken of the heritage listed Adelaide Oval scoreboard.